I have to admit, at first I was a bit scared. Pitching our tent in the middle of nowhere, feeling vulnerable and having visions of starring in the next ‘Criminal Minds’ episode… But we’ve camped at the most amazing places, seeing beautiful sunsets, enjoying a million stars and just us two to enjoy. What’s keeping you? 1. In plain sight or invisible? This is our main rule; either we pitch our tent in plain sight, or we want to be completely invisible. Why? We believe that when you pitch your tent in plain sight, you have the advantage of social control. Knowing that we are completely out of sight and nobody sees us going to that ‘secret’ spot also makes me feel comfortable and is a recipe for a good night sleep. Camp spot in a day recreation area. 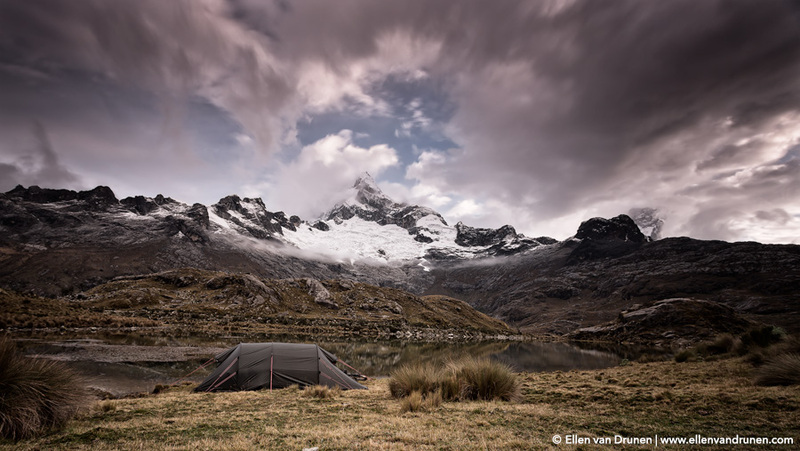 For example in Chile and Argentina a lot of roads are fenced off and there is not a lot of ‘space’ to pitch the tent. In these situations I prefer to pitch the tent near the inner curves, on small hilltops or in ditches below the road. (But avoid dry riverbeds!) Once it’s dark these spots make you invisible, since car lights won’t be able to shine a light on you. 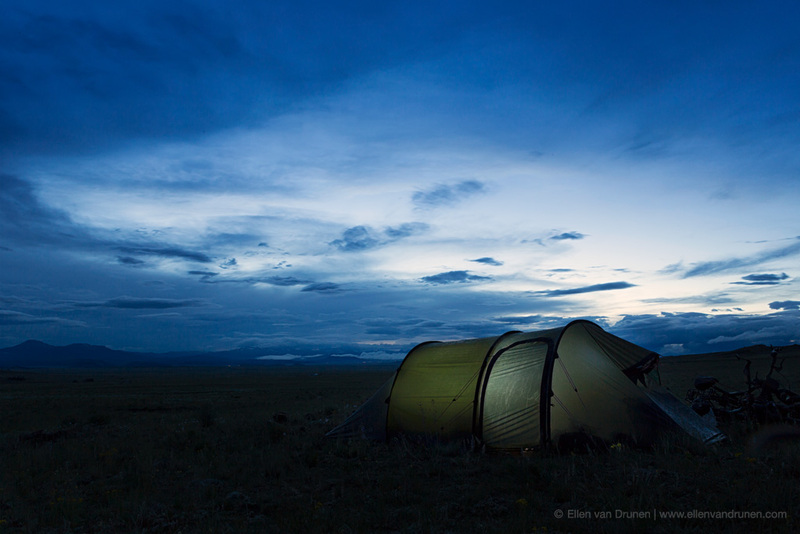 It’s easier to pitch your tent when the sun is still up, but in some situations we wait for nightfall. At nightfall you can secretly move to an otherwise visible sight. This way you know you are invisible once it’s completely dark. On top of that you can make sure to leave your spot before the sun comes up, if you just don’t want to get caught by surprise. But again, we also keep in mind wether cars are able to put us in the spotlights or not. 4. Close to a town or not? We’d prefer not to wild camp near a large town or city. We have no facts, but it just doesn’t feel safe. Whenever we camp free, it’s either in the middle of nowhere or with someones permission (see tip number 5). In Tajikistan and Kyrgystan we often asked a farmer if we could pitch our tent on his land. But before we do so, we usually kind of check if there are women and childeren around. This gives us a safer feeling. You can also ask schools, churches or people with a small garden when you are in a town. 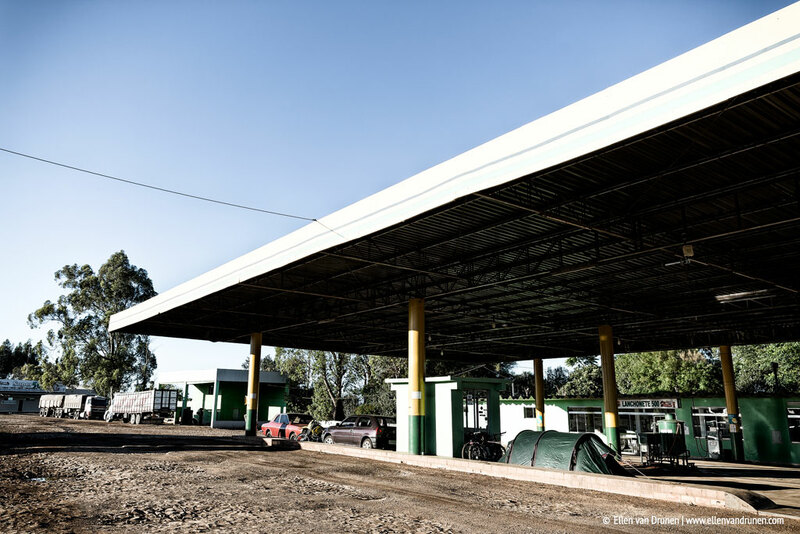 We even pitched our tent at gas stations and toll boots in Brasil and Argentina, or road work camps. But, before I ask, I try to get a feeling about the people and keep in mind, there’s more good people than bad ones! We didn’t get much sleep at the gas station! 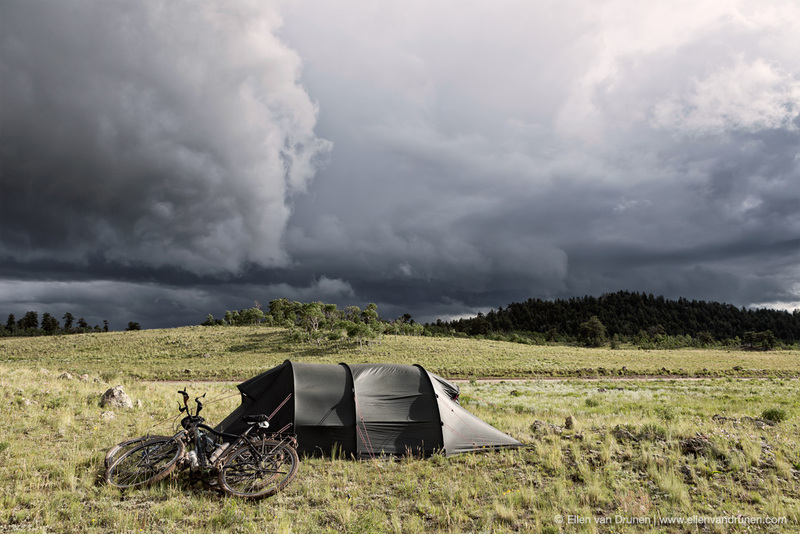 We’ve been touring on our bicycles since 2004 and during that period, we’ve pitched our tent anywhere in the world. We now know (or think we know) what to avoid and what is a good spot. This doesn’t mean we are not careful anymore! 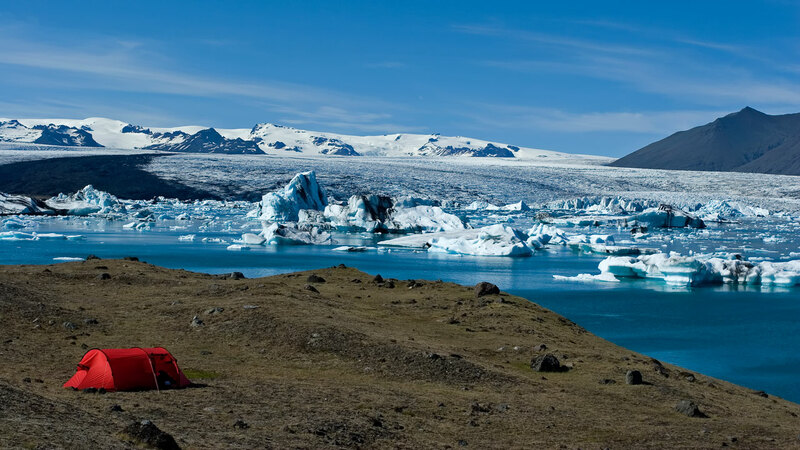 We have pitched our tent near glaciers, beautiful lakes and in wooded areas. But also in ditches or curves next to the road and on farmers land. We sleep like babies and often enjoy the most amazing sunsets, sunrises and a million stars! But, always be careful and trust your guts! 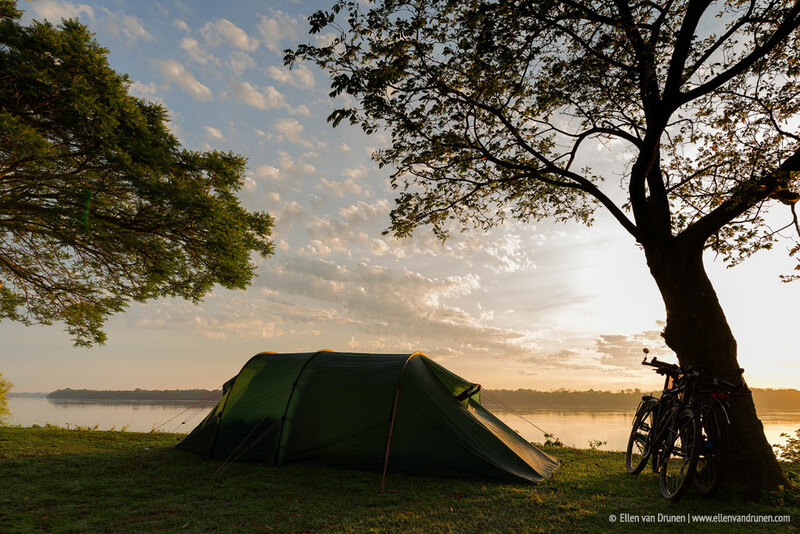 Tell us your experience with wild camping by leaving a comment below! Something I always wonder is, what to do with the bikes while you’re inside the tent? Maybe I’m too wary, but I have the feeling that I couldn’t properly rest just placing the bikes outside, “ready to be stolen”. Haven’t you ever had any bad experience with this? Fortunately no bad experience, I’ll hope it stays that way! You can also put a tent rope through the bike, so if they do take it, it will probably wake you up! Your photos are beautiful in this article. 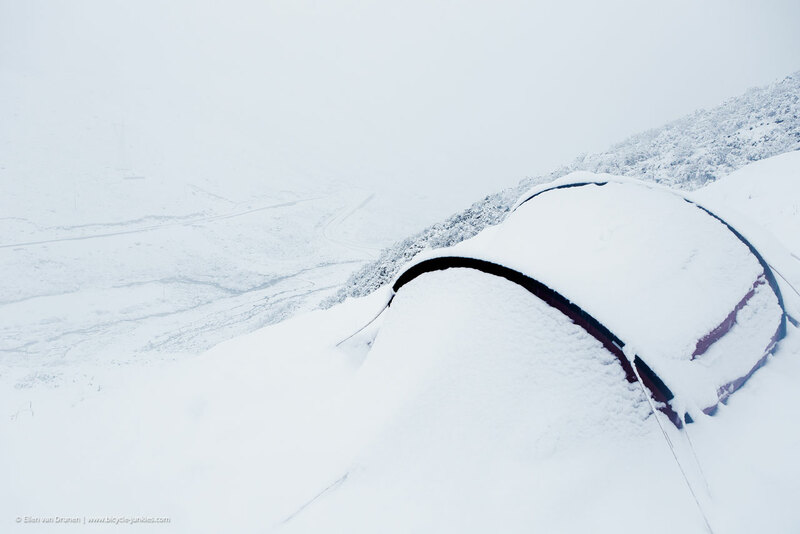 If this isn’t enough to make people want to go wild camping, I don’t know what is! Thanks Josiah! Good luck on your upcoming adventure, we subscribed to your blog posts. Dear Fietsjunks, what about wild animals? Are there any figures about how ‘interesting’ a tent is for wild and potentially dangerous animals (like bears)? In my opinion a tent is absolutely uninteresting for wild animals (except when there is a strong smell of food around it), and definitely not something to ‘attack’. Thanks for your great storys and professional website! Goede reis! Hey, i plan to circumnavigate this year and am in the process of buying all that i need but i have a simple question that has puzzeled me for awhile; how do you obtain visas for countries you are about to enter whilst traveling? thats what i intend to do but how does that practically, actually happen? Hi Sammy, wel that depends on the country. Some you need to arrange in advance, some you need to arrange while travelling and some you just obtain at the border. For each specific country you plan to visit, you have to inform yourselve what the regulations are. Good luck with the planning!